So I read this story, and I laughed a bit. 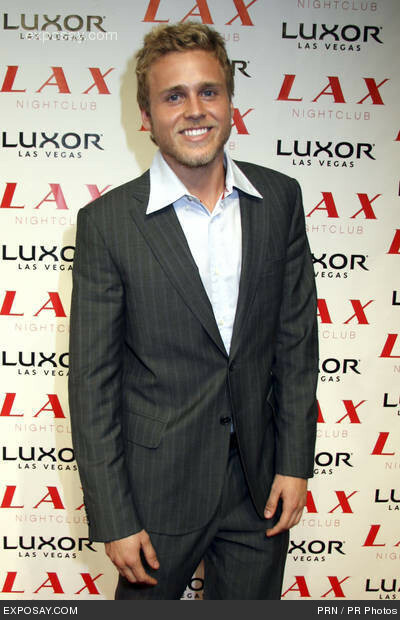 Spencer Pratt has told UsMagazine.com exclusively that he is writing a tell-all about his relationship with ex Heidi Montag, including stories about her troubled relationship with her mother Darlene. "My last book, How to be Famous, didn't make the New York Times best-seller list because it was in the self-help section," Spencer said to the magazine. "This one is going to be totally different. I'm not holding anything back." Ummm...Spencer maybe your last book didn't make the list because you're not like some A list celebrity who worked hard to get the status and could write a book like that. You're more like C list and that's simply because Heidi had you on The Hills in the boyfriend/husband role. Or maybe nobody wanted to read a book from you. BUT this next book may be an interesting read for us Hills fans. I can only imagine what this man will say. I doubt I will buy it, but it would be entertaining to read what Spencer has to say on the whole ordeal. Only a matter of time before Heidi comes out with her own I'm guessing. Anything to stay on the radar. For the umpteenth time though, I'm so glad they're getting divorced lol! Yeah, I said it! Yall are too. Well those of you who watched the show haha.